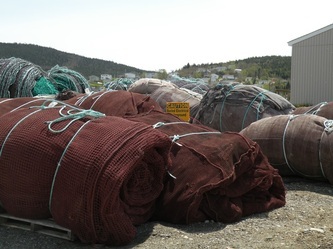 Newfoundland Aqua Services has been servicing the nets for a number of fish farming companies on the Canadian east coast. 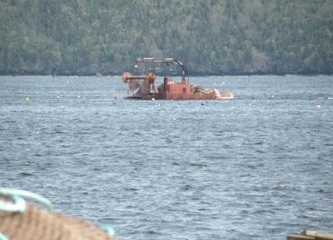 To accommodate the growth of the fish farming industry it was imperative that the operation expand. At the same time, a number of environmental issues forced them to rethink the entire net servicing process. 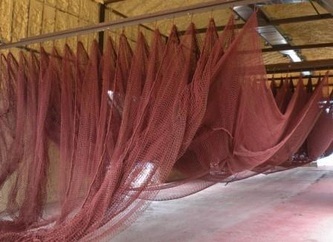 The nets are large, up to 525' (160 m) in length. 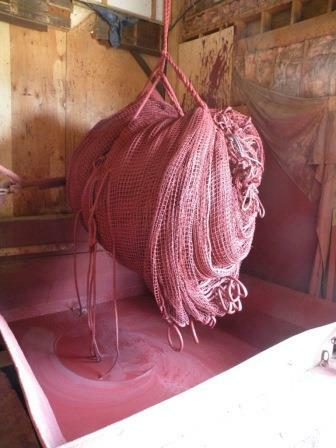 To prevent marine growth on the nets in the water, they are coated with copper based paint. Conventional methods to remove the remaining copper laden paint consisted simply of pressure washing the nets on a barge and letting the residue fall into the ocean. Traditionally, nets requiring repair have been stored on the ocean bottom. Storage facilities are being built to store the nets in chilled water in summer to prevent biological growth, then washed on land, dipped in paint and then dried. An integrated process was developed to recapture waste heat from the net storage facility and the dehumidification / net drying process to be used for space heating in the facility. An integrated vertical / surface water GHX will allow the storage of excess energy that can't be used during the summer, for extraction in the winter. 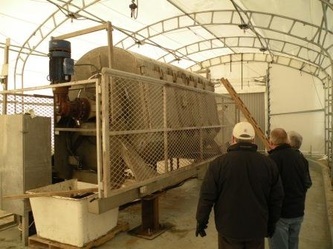 Mechanical and geothermal design: Geo-Xergy Systems Inc.